I was just wondering when Marvel were going to confess that Secret Empire #0 was coming out in April, given they were telling retailers that there was going to be a retailer exclusive variant for it. Well, they have now told ABC, part of the great and glorious Disney empire. Secret Empire is by Nick Spencer, who has been writing the Captain America books in recent years and made Captain America an agent of Hydra, and Steve McNiven, of the original Civil War series, of Old Man Logan and now not doing Nemesis Returns for even longer. 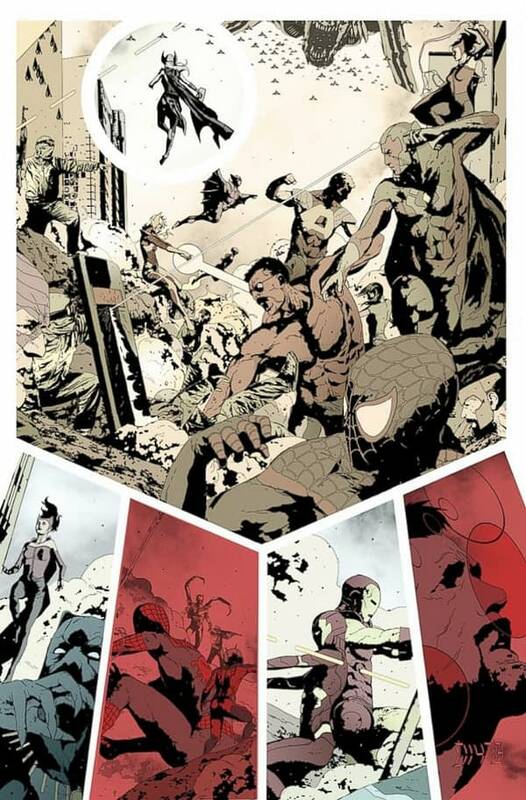 UPDATE: The artists will rotate and include Andrea Sorrentino and Leinil Yu. A 9 issue series starting in May with a 0 issue bonus in April. It will run until August, 9 issues over 4 months, May, June, July and August. Oh and the Free Comic Book Day issue too. And everyone will know that Cap is Hydra early on. Axel Alonso also has things to say. Meghan McCain – In Need Of A DC Comics Care Package?